Our story started on a small farm in Santa Cruz in 2015 - in an place that is as close to the sea as it is to a vibrant local farm and food culture and our (somewhat) comical quest to find some fresh seafood for dinner. The more time we invested searching, the more motivation and connection we felt to our local fisheries and our need to better represent them here at home. FreshCatch was born a year later after countless hours spent at the docks with our fishermen and women, at libraries, marine research facilities, court houses, and on the water. We believe food is our greatest connection to this planet and one another - thank you for taking part in our story and sharing it with those you love. We are honored to be included with some of our favorite taco shops in this issue of Edible East Bay’s best fish taco spots in the East Bay! Also included is our fish taco recipe including our crispy beer battered fish tacos topped with our famous seaslaw! Listen to our latest update with KGO Techonomics host Jason Middleton as we talk about FreshCatch, what we are doing to expand, and what our hopes are for the future. Listen to our two part podcast with KGO Techonomics host Jason Middleton as we talk about FreshCatch, how we got started, what we do, and how that relates to our local food system! Check out this great article about American Abalone Farms written by Tara Duggan (thank you for including us)! Find out why farming these delicious red abalone is the future of sustaining this local favorite and how you can get your hands on some! We couldn't be more flattered or appreciative to have such a nice write up from one of our members! Brenda has an outstanding talent to find and create all things delicious both locally and abroad - we love to follow along with her on social media @nerb and through her blog Bites & Bourbon! Check out what she had to say about her first month of eating with FreshCatch and what it was like cracking into one of our specialty deliveries - live urchin from our diver in Half Moon Bay! 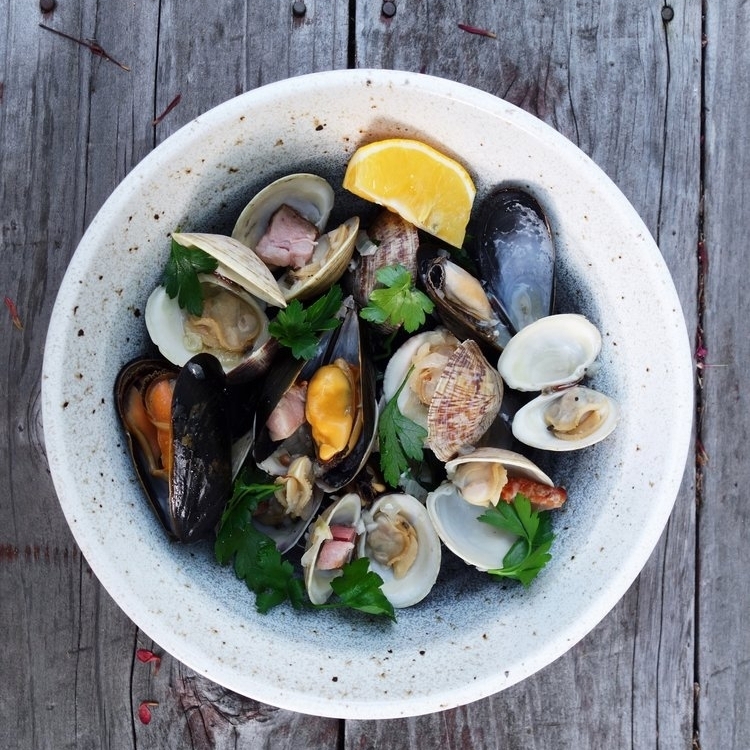 We love all of our fearless #seafoodie members like Sandy aka @foodhoe - check out this incredible write up and recipe she did on FreshCatch on her playfully written and fun to follow food blog - www.foodhoe.com - with our fresh diver caught sea urchins out of Half Moon Bay! Thank you so much for the kind words and incredible photos and videos!